This shot was taken on the London Underground. 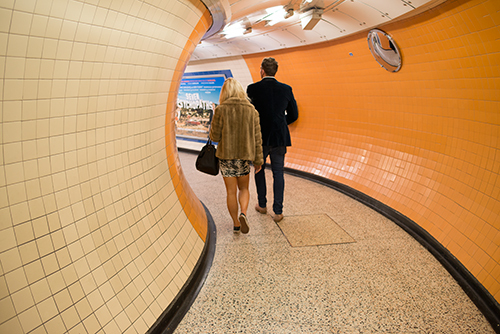 We had just got off the train and I noticed this couple walking in one of the side tunnels. I liked the flow of the curves and took the several shots in a burst. I chose this one as being the best composition but replaced the reflection in the mirror with that from a shot taken slightly later as it reflected the people and made for a better finished image. 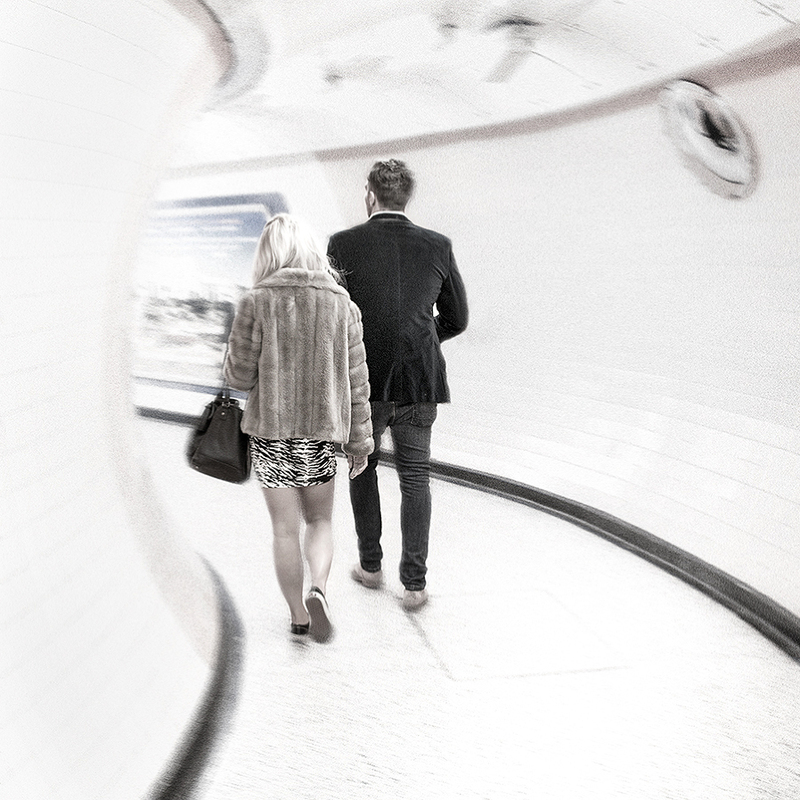 I wanted to give the image a dreamy feel with a sense of motion of the people walking away from me. The tiles on the tunnel were bright yellow and orange (see original image below) so, firstly, I desaturated the image. I then used NIK Glamour Glow to give the dreamy feel and then Viveza to remove the slight yellow tones which remained in the image. Motion blur was added to give the slight sense of motion. This was followed with bleach by-pass and film grain to give the texture I wanted. A clone layer was used to remove minor distractions and Viveza was used to make final adjustments to the lighting. Finally, the image was sharpened using the Photoshop High Pass filter.